← Still Don’t ‘Get’ Social Media? The Cubs are in the World Series. Shocking. Terrific. We bridesmaids made it memorable: Steph wore a handmade white baseball cap with trailing white lace veil that Sally had sewn; we were armed with all sorts of completely inappropriate items from an x-rated shop (including several decks of very graphic illustrated playing cards); lastly we carried a “Here Comes the Bride” handmade sign so that for sure we could be seen on TV from the bleachers. The Cubs game turned into a very late night. 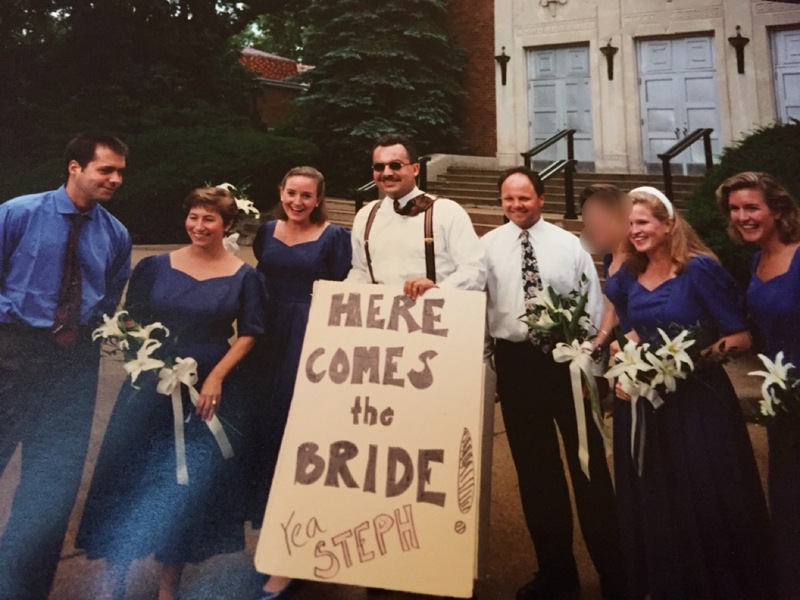 By the time we had finished at the Cubby Bear and Murphy’s Bleachers Stephanie had pretty much autographed and distributed every playing card and invited any and every passerby to her wedding the following weekend. I HAD to write this! It was such a hilarious day and memory!